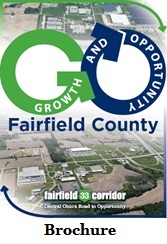 Throughout Fairfield County you will find available sites and buildings to meet the needs of your growing company. Offerings range from fully-served industrial parks and manufacturing facilities to professional office and retail environments. Listings are constantly being updated in our two databases, so check back frequently.